The detailed, practical, step-by-step advice in this user-friendly guide will help students and researchers to communicate their work more effectively through the written word. Covering all aspects of the writing process, this concise, accessible resource is critically acclaimed, well-structured, comprehensive, and entertaining. Self-help exercises and abundant examples from actual typescripts draw on the authors' extensive experience working both as researchers and with them. Whilst retaining the user-friendly and pragmatic style of earlier editions, this third edition has been updated and broadened to incorporate such timely topics as guidelines for successful international publication, ethical and legal issues including plagiarism and falsified data, electronic publication, and text-based talks and poster presentations. 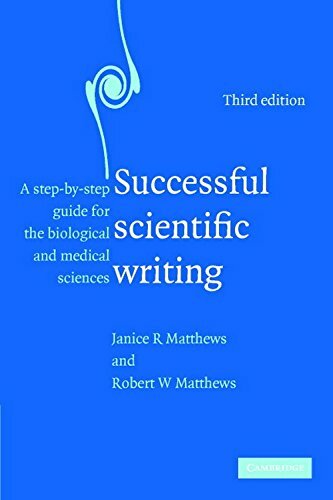 With advice applicable to many writing contexts in the majority of scientific disciplines, this book is a powerful tool for improving individual skills and an eminently suitable text for classroom courses or seminars.